The recent session on donor-advised fund giving at the 2018 DMA Nonprofit Federation Conference in Washington, DC was a highlight for the attendees. There was a lot of information provided and a lot learned! 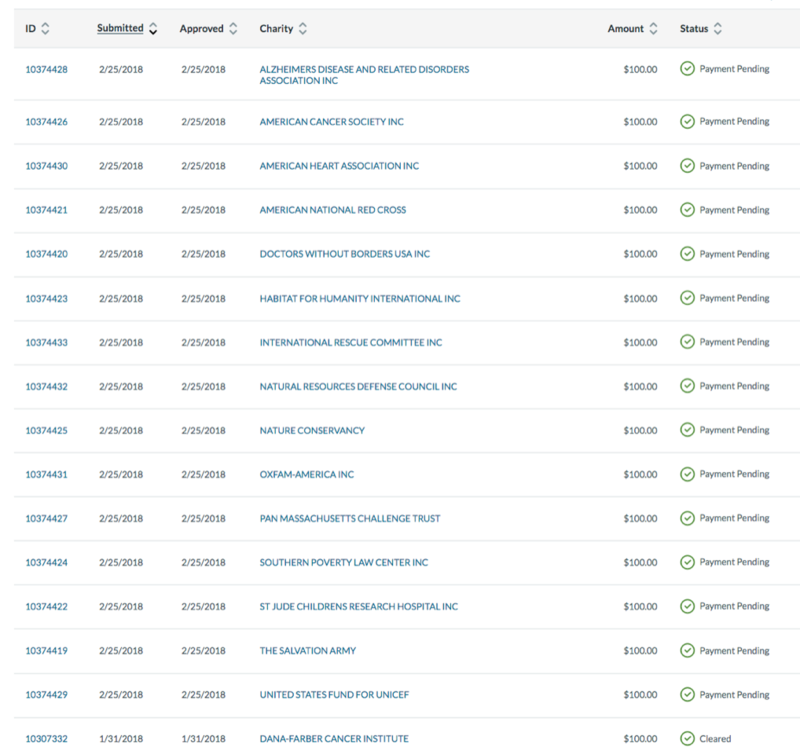 As a follow-up, I just made 15 new DAF grants to some of the organizations on the Fidelity Charitable list of 20 “most popular” with their donors. See page 8 of their Giving Report for the list. I will also report on current favorites of the Doyle family. I have promised to report on the ongoing direct marketing and solicitation practices of these organizations. All of this will be based on how well they communicate with me between now and the Bridge Conference in August and next year’s DMA Nonprofit Federation Conference. Let’s see who is learning quickly and getting better at this!